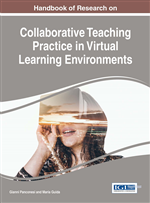 The contribution aims at exploring previous and current practices of use of virtual environments, 3d Virtual Worlds also, for inclusion in education. There are many experiences of developing and using virtual environments for the inclusion of disabled and problematic students (autistic student, Asperger Syndrome students, dyslexic students, etc.). The majority of the experimentations gave important beneficial results. In particular, the essential technological characteristics of VR that are beneficial for inclusion are: immersion, presence, interaction, transduction and conceptual change. The design of those environments is sometimes conceived together with the final users, applying participatory design techniques. Virtual environments and Virtual Worlds are being used also in the management of drop-out rates and school failure, by using it for curricular diversification classroom with students in a situation of educational exclusion or academic failure. The contribution will discuss 7 cases of successful use of Virtual Reality at school, ranging from primary to secondary education. Another preliminary remark is needed as for the methodology that has been followed to select the cases that are going to be presented hereof.Another preliminary remark is needed as for the methodology that has been followed to select the cases that are going to be presented hereof.